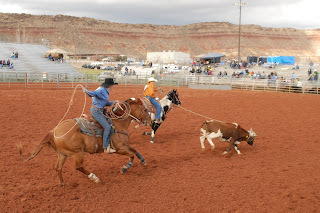 One of the keys to roping is getting the right start out of the box. In a previous post, we talked about going to the pin. This puts your horse in the right position with the cattle. 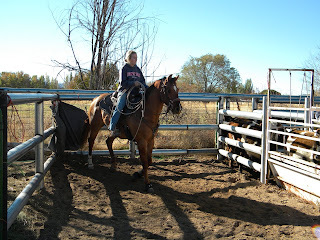 Another way to get the right start is to make sure your horse is flat in the box. You want your horse to be able to push off with all four feet not lunge or rear out of the box on two. 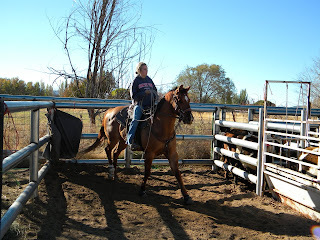 When they come out flat, they come to speed faster and you have the opportunity to rope quicker. One thing that people do to cause their horses to squat in the box or be too far back on their hind quarters is they only focus on getting their horse in the corner and keeping them there. So they put all of the pressure on them to get as far back in corner as possible. They put a lot of pressure on their bit and reins. Their horse has to squat or lean back in order to try to relieve some of the pressure. 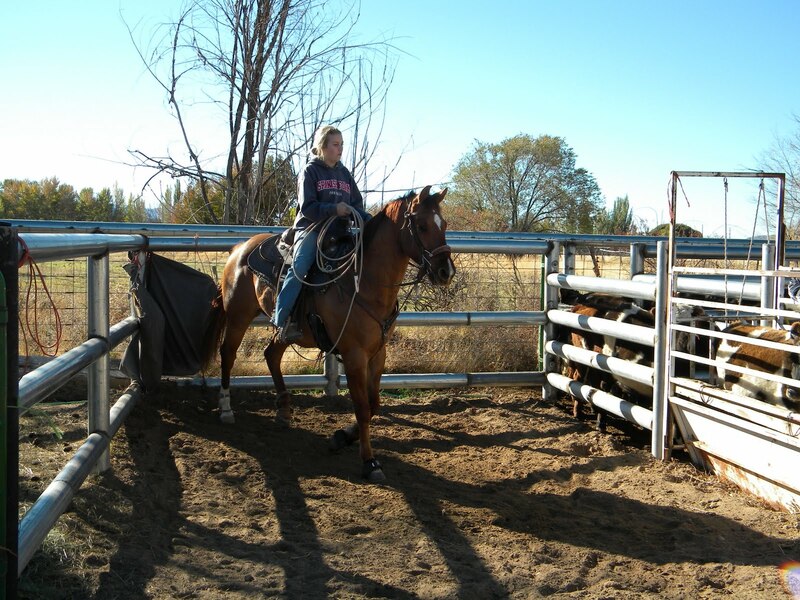 There is a simple process that you can use when you are practicing to help keep your horses flat in the box. 1) Back your horse into the corner. 2) Then have your horse take a couple of steps towards the pin. 3) Then back your horse in the corner. 4) Then walk your horse all the way to the pin and stop. 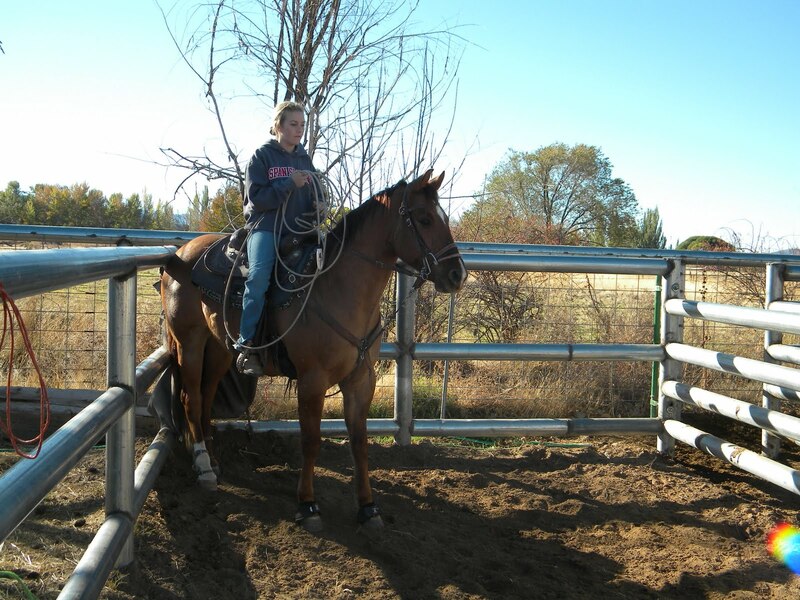 5) Let you horse relax while standing in the right position next to the chute. 6) Then back them in the corner again. You will notice that they are now flat and not squatting. You also have more control of their motion in the box. This simple process will relieve a lot of pressure on your horse. 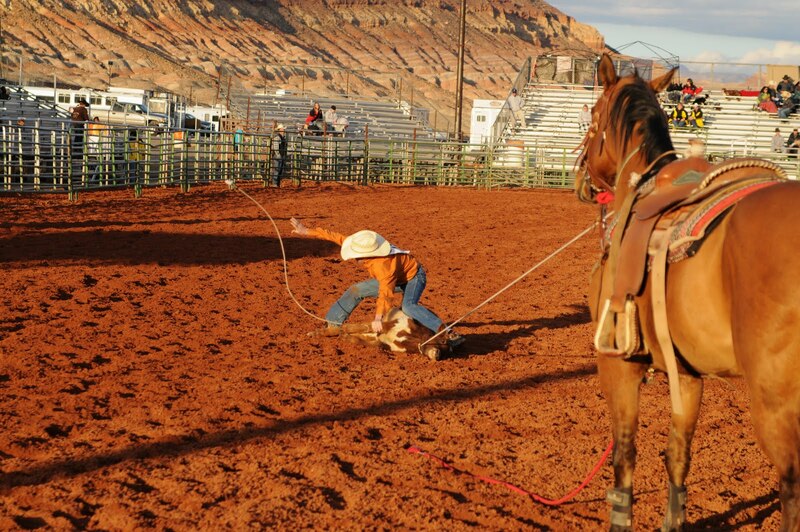 1) You should not perform this exercise every time before you rope. 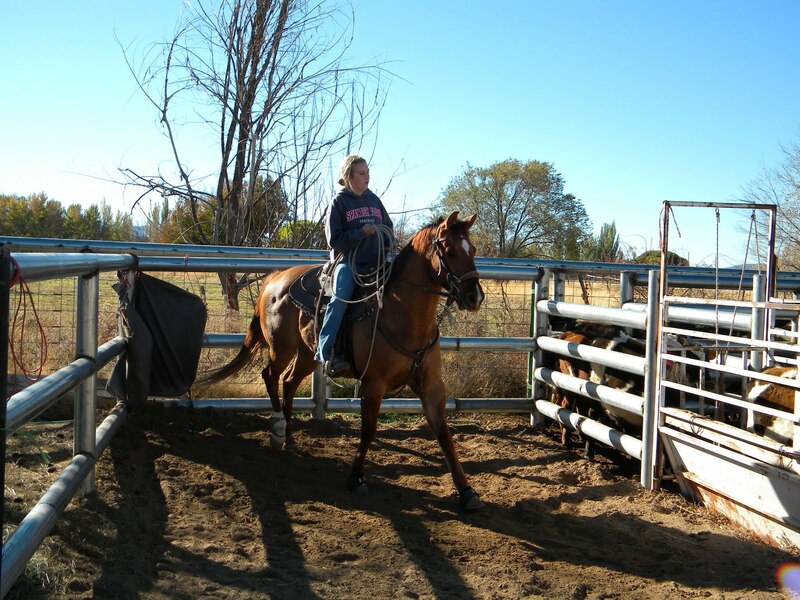 Your horse may start to stall because they think they are only walking to the pin and not running to the cattle. We usually do this just a couple of times out of 15 to 20 head of cattle. 2) When they are flat in the box, reward them by releasing some of the pressure on your rein. Remember, they do not need to be back on their haunches and shoved in the corner. 3) Also, allow them to stand at the in but if they want to move out of position you need to get after them and put them back in position. Is what I’m thankful for. As we head into another weekend of high school rodeo, I find myself asking the same question. What is the right balance of kids practicing, competing and being at the top of their game for the rodeo and your kids having fun and enjoying it? For example, every Friday night after the rodeo the kids have a dance. This is fun for them. They love to hang out with all of their friends. However, the dance usually gets over at midnight. 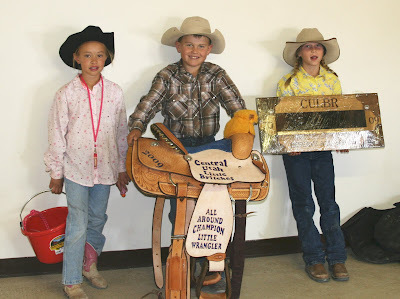 By the time they get in and get to bed it is about 1 a.m. Then on Saturday, they need to get up early and get the horses fed and get ready to compete. So they are little more tired when they are competing on Saturday. As we all know being tired makes your reaction time a little slower and when you are going for a 2 second breakaway run even a blink of an eye makes a difference. As a mom, you always want your kids to do their best. You know they have the ability to perform. 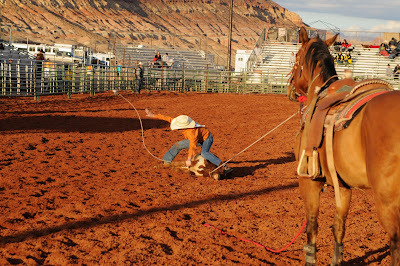 Sometimes, they can out ride and out rope you. However, you want them to have great memories of their time in high school. So how do you find the balance? What is the best thing for them? 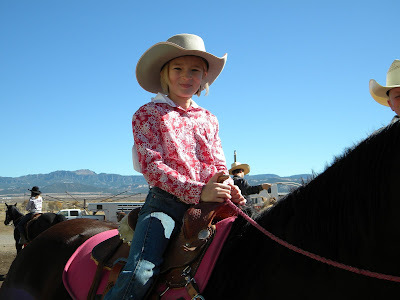 To rodeo at their highest level or to also be kids and enjoy their time traveling, competing and socializing? Love it when you get it around the neck! Look at the curl. "A winning effort begins with preparation." They caught him pitching his string. Check out that horse really helping him out. Goat tying is one of my favorite events in rodeo. As a coach and instructor of students at many levels of riding ability not to mention limitation of funds I like goat tying because anyone can learn to be good. You don’t have to buy a super expensive horse and the costs are really limited as the equipment needed beyond a horse is a goat and a string. If you really have the desire you can learn to be a winner. The tip I have for today is in goat handling. While growing up tying goats I was always taught to go all of the way to the goat. However, in helping my daughter learn to be a better goat tyer I have found that there is a modification to this method that works better and helps you set up any goat better. The trick - run straight down the line as if you were going to run all of the way to the goat. When you are about a foot away from his neck stop, grab the lead rope (remember to leave at least 6”-10” of room from the goats neck. At that point pull the goat to your left hip. This will really help you in handling a goat, as you will be the one in control and will not have to change direction based on what the goat does. Also, it lays to goat in a good position to throw and finish your tie. Do you ever have experiences that make you realize how blessed you really are and what you really have. Today, I attended a Veterans Day Program at our elementary school. They paid tribute to all of the great men and women who have fought and died for our freedoms. I pondered and realized that because of them I have this wonderful lifestyle. 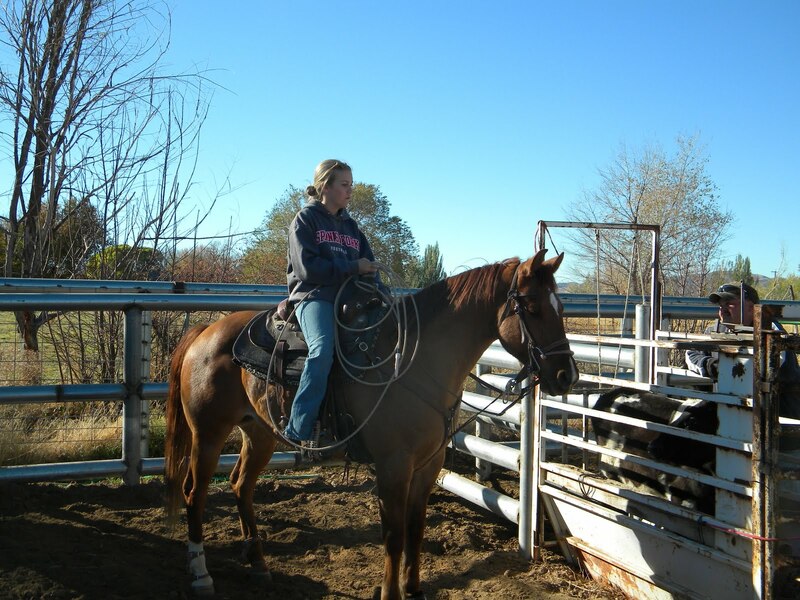 I get the opportunity to ride horses, raise cattle, rodeo, and live a life some only dream about. While chatting with my husband he said, "the one thing I love about rodeo is that we still pay tribute to GOD and our Country." This is so true whether it is at our local rodeo, National Little Britches, or the National Finals. We always began with a Prayer and The National Anthem. This is usually followed with or includes paying tribute to our Veterans. I would Love to say, "THANK YOU" to all the men, women, and their families who have fought, are fighting, and have died so that I can live in this free Land and live the lifestyle we love so much. I just love all of the kids that we travel to rodeos with! They are all so cute, polite and nice. twist you have to reset the memory of the rope. Start by wrapping the rope, the part of the loop end closest to the block, around something stationary. You do not want the rope to move or twist. After the rope is secure twist the loop end in the opposite direction of the twist that is in your rope. Put as many twists as you can. Make sure that you keep the loop end from getting kinks. After you have twisted the rope as much as you can stretch the rope out and secure the loop end. Leave it like this for a few days. 4. Top spaghetti with cheese, bacon, tomatoes, and onions. 5. Serve with garlic bread texas toast. Have fun with this recipe it is very flexible and about your taste and liking. I have used a bunch of fresh tomatoes instead of sauce. I am always amazed at the angles and the positions of the horses body as they stretch out to perform. It just looks like they should not be able to move that way. Last night we were at an awards banquet for one of the youth rodeo associations we belong to. As I get older, I must be getting more sappy. The only thing that really stood out to me all night was the comadarie between the kids. It was getting towards the end of awards presentation and they were awarding the saddles for the series. They would bring up the Reserve All Around and the All Around. They asked them what they liked about the other competitor. 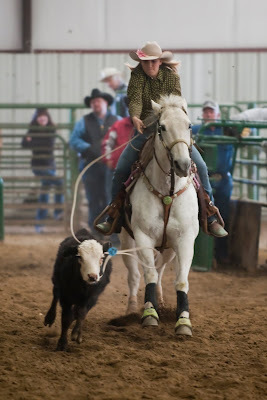 It always amazing to me that these kids compete head to head at every rodeo. However, all of these kids are friends. Some of them are even best friends. Every one of them had great things to say about the kid that had competed against them all year. They congratulated and celebrated for each other. That is what I truly love about rodeo. That the kids are there to help and support each other but they still compete as hard as they can against each other to win.